Camaraderie has always underpinned Survey Corps operations in both war and peace. Towards the end of World War 2 the strength of the Corps had peaked at 1700. In the years immediately following the war, to maintain that camaraderie and close personal war-time friendships, a number of survey veterans association formed. Some were specifically unit associations such as the 2/1st Topographical Survey Coy (AIF) Association, the 3rd Aust Field Survey Coy (AIF) Association and the New Guinea Survey Section Association and others were State based Survey Ex-servicemen's Associations. To be more inclusive and to better reflect their Corps origin during the 1990s most retitled themselves as Royal Australian Survey Corps Associations. Standing alone is the Ex Fortuna Survey Association with a membership based on those who served in the Corps' largest unit, The Army Survey Regiment located in Bendigo, Victoria. To date a national organisation has not been formed although the State based associations work closely together and all are represented on this website to the extent that they choose. The Royal Australian Survey Corps was formed on the 1st July 1915 and served Australia in war and peace for eighty one years until its final demise in 1996. It was always one of the smallest of corps but its contribution to Australian defence in mapping Australia, Papua New Guinea and the South West Pacific island nations as well as a long term mapping aid project for Indonesia was significant. The history of the Corps has been comprehensively written by Dr Chris Coulthard-Clark published by Oxford University Press and brief histories are contained in this website. A short history can be found here. National Bulletin Survey Corps Assocs 1965 to 1989 can be found at the end of the Archives on the ACT Newsletter & Archives page. Associations produce newsletters in various formats. Some have specific titles such as the Western Australia Association's Westlink and the ExFortuna Survey Association's Magna Carto. The Queensland Association calls their publication a Bulletin. 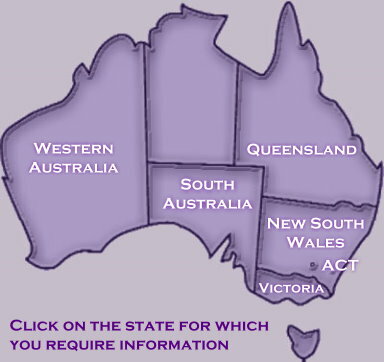 All can be accessed on this website by clicking the State name on the adjacent map. A full Nominal Roll (2018) of people who have served in the Royal Australian Survey Corps can be found here.